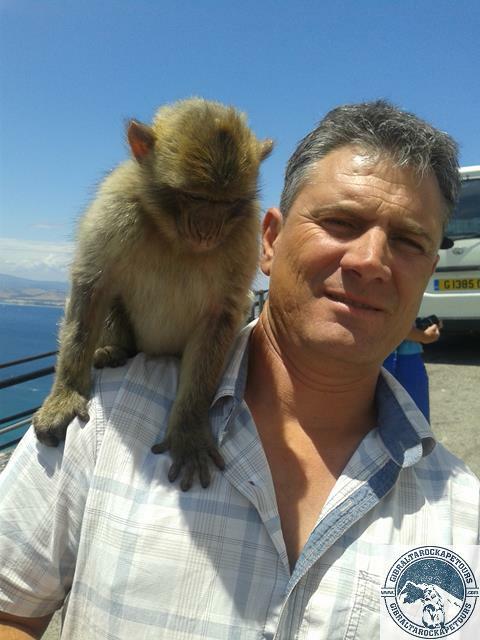 Gibraltar Rock Ape Tours – Official Gibraltar Rock Tours – Meet the Monkeys (Barbary Apes)! Hi, my name is Daniel Smith. I have been an official Rock Tour guide for over 10 years providing a professional service to customers worldwide who have visited my birthplace. The Rock Tour provides you with an unforgettable insight into; Gibraltar’s history, its flora and its fauna which includes Gibraltar’s most renowned inhabitants – the Barbary apes! Each Tour option that I provide has been tailored to meet your specific needs and all include close encounters with the apes and breathtaking views. I can deliver the tour in two spoken languages: English and Spanish; also available in 6 different languages via multimedia. The minibus has a maximum capacity of 8 and the pick-up point can be from anywhere within Gibraltar which includes the: cruise liner terminal, airport, frontier or any hotel. Explore the site and tour options below and simply book your desired Rock Tour today. I am confident that you will experience Gibraltar’s main highlights in the most enjoyable way possible. Select your preferred tour option below. If you have any extra queries: leave a message in the space provided on the booking form or alternatively use the contact details located at the bottom right of this page to contact me directly and a response will be with you shortly.